Apple Watch has helped so many people around the world and we are humbled that it has become such an important part of our customers' lives. With the release of these heart features, Apple Watch takes the next step in empowering people with more information about their health. 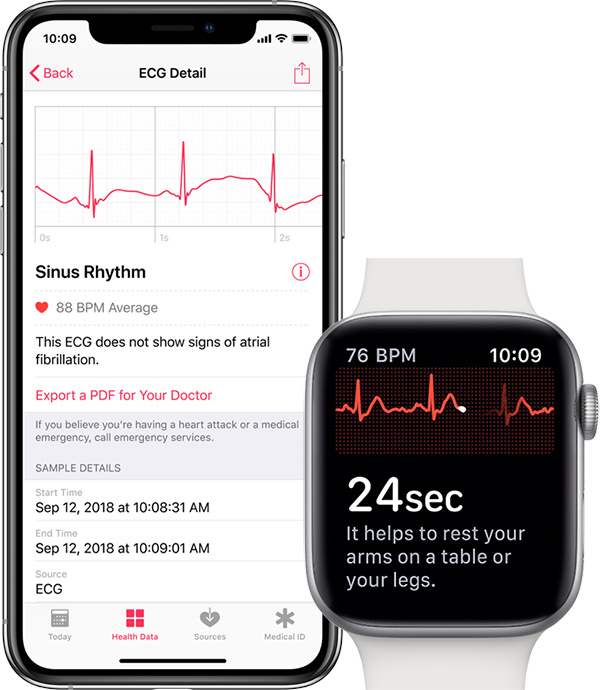 Apple is making good on its promise of making the ECG app available by year's end. watchOS 5.1.2 has been in beta testing since November 7, but the ECG app was nowhere to be found during the pre-release period. And 99% of users will try it once, find out their heart is normal and never touch it again, despite vehemently demanding it every day for the past 2 months. And 99% of users will try it once, find out their heart is normal and never touch it again. True... Statistically, the percentage of people who don't have any heart rhythm issues is more like 95%. However, for that remaining 5%, including my wife who has SVT, it is literally a potential life saver! so, do i have to permanently (until it comes to UK/EU) move my AppleID to US to make ECG work properly? It should be approved in the EU/UK by around 2053, just in time for the iPhone 28s & Apple Watch 19. Irregular heart rhythm notifications will also be enabled in watchOS 5.1.2 on Series 1 through Series 4. Hopefully less than 1% of users need this feature as well, but it will be a passive feature that doesn't require anything besides wearing the watch. Because you people drive on the other side of the road Apple need more time to reverse all the waveforms ;-). I'm actually looking forward to having basic complications available on the series 4 more than the ECG. Turning the world into hypochondriacs one person at a time. It's real folly to play your own cardiologist, you're going to drive yourself nuts. Say goodbye to your peace of mind.